CEO ( Chief Electoral officer ) of Andhra Pradesh has give a opportunity for Andhra Pradesh Voters, Who have Name in the AP Electoral Roll those People can check/ Verify their details through Mobile Phone. Just send one SMS through their Mobile Phone, and get Voter Details in the Mobile Phone. 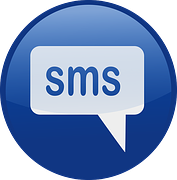 How to Send SMS for Check Name in the Electoral Roll in Andhra Pradesh ?